It doesn’t take long when leaving downtown Waseca to find yourself among farm fields and woodland. But drive just far enough on the dirt road that turns from County Road 10 into 150th Street and you’ll come across a farm unlike any others in the area. 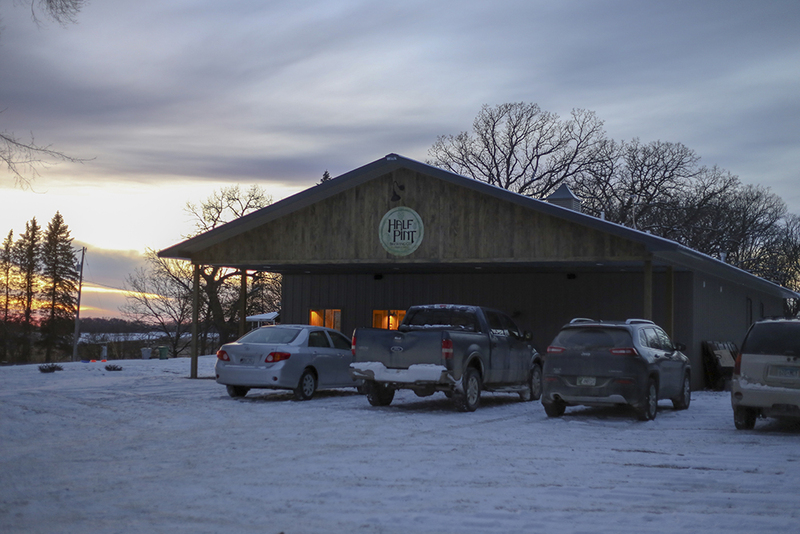 A small hopyard stands adjacent to a house atop a hill and there is a building, tucked behind a thicket, that is home to Minnesota’s newest farmhouse brewery: Half Pint Brewing Company. While the definition of a “farmhouse brewery” varies, for Half Pint founders Mike and Amy McQuery it means this: they will grow as many hops, fruits, vegetables, and spices as they can on their land to put in their beers. What they can’t grow on their farm, they’ll source elsewhere. After all, their hopyard is only a third of an acre (their home sits on a total of nine acres). Currently, they grow Centennial, Chinook, Triple Pearl, Cascade, and Zeus hops. The duo built a hop dryer to dry the hops after they pick them with people around the community. The couple also grows raspberries (which contribute to the fruit that goes into Half Pint’s kettle sour) and plan to plant an assortment of spices and herbs such as cilantro, lemon balm, sage, and various others. But Portland, and Oregon in general, was bursting with breweries. 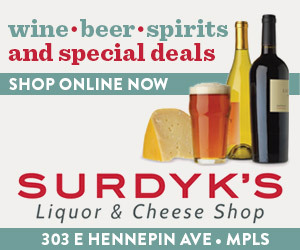 Five years ago Amy suggested they move to Waseca, Minnesota, where she had a cousin, and a job offer, to pursue their professional brewing venture. Mike was convinced after meeting Dr. Charlie Rohwer, the University of Minnesota research associate who works at the Southern Research and Outreach Center in Waseca on hop research. 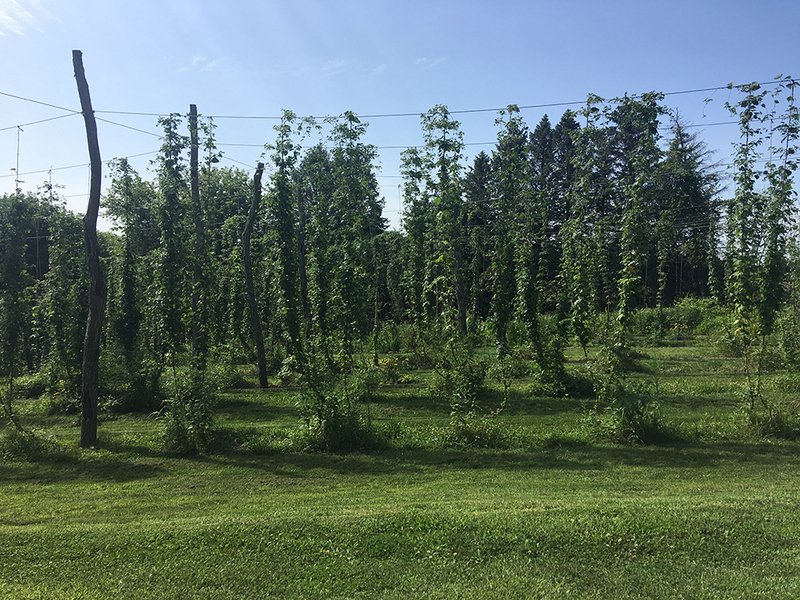 Rohwer told Mike about hop growing in Minnesota, and Mike found Minnesota still had room for new breweries. 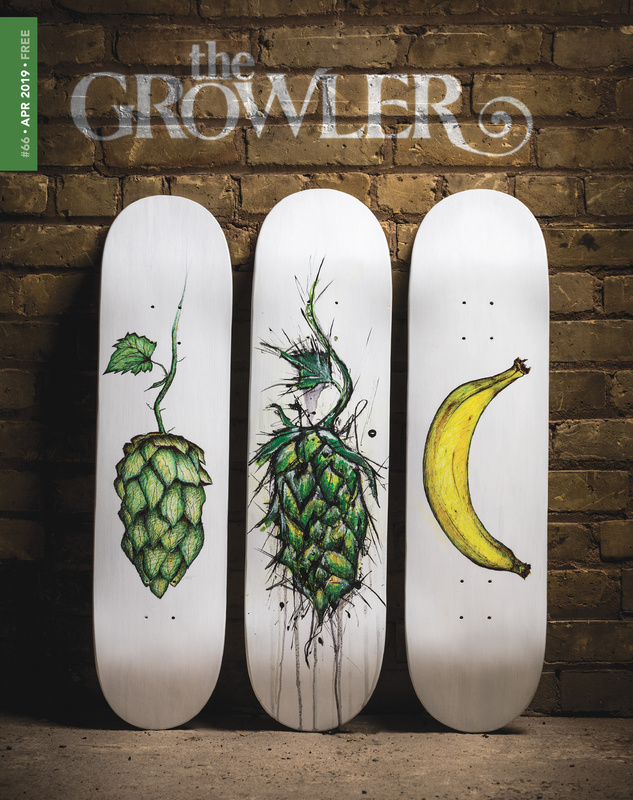 The brewery is made up of a 3-barrel brewing system, with eight 3-barrel plastic fermentors. With it being located on the same property as their house, it’s “almost like I’m still homebrewing in my garage, only bigger,” Mike says. “And I’m still inviting people to my house to come out and try my beer.” Mike likes the smaller scale, so he can experiment with putting things like stinging nettle into beer. But before Mike could start adding anything to the brew kettle, there was plenty of work to do to get the business off the ground. He installed the trellis system for the hopyard and spent a year and a half building the brewery after tearing down an old shed on the property. “I learned how to frame, tile, [install] ductwork,” Mike says. Some of the original shed still exists on the walls of the brewery. 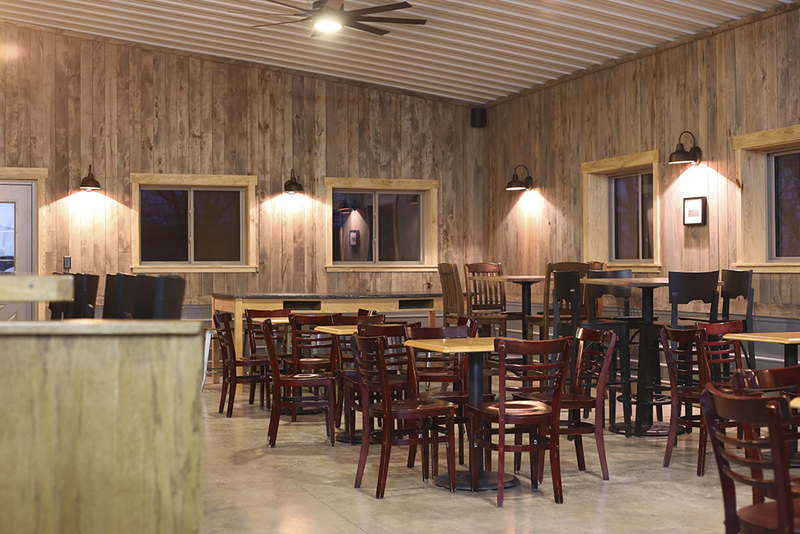 Much of what’s inside the brewery and taproom is local, including the bar made from a black walnut and red oak tree that sat on the McQuerys’ property. 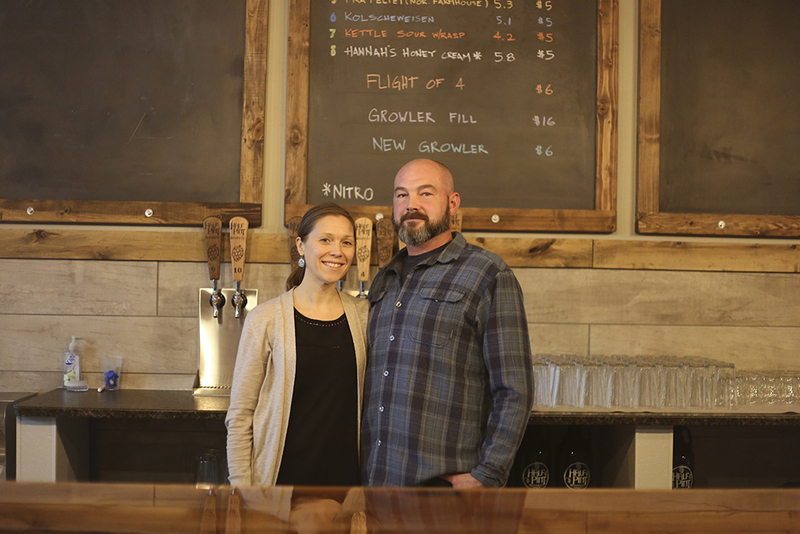 The couple are excited to offer a place to drink local handcrafted beer but also to show patrons how that beer is tied to the land. 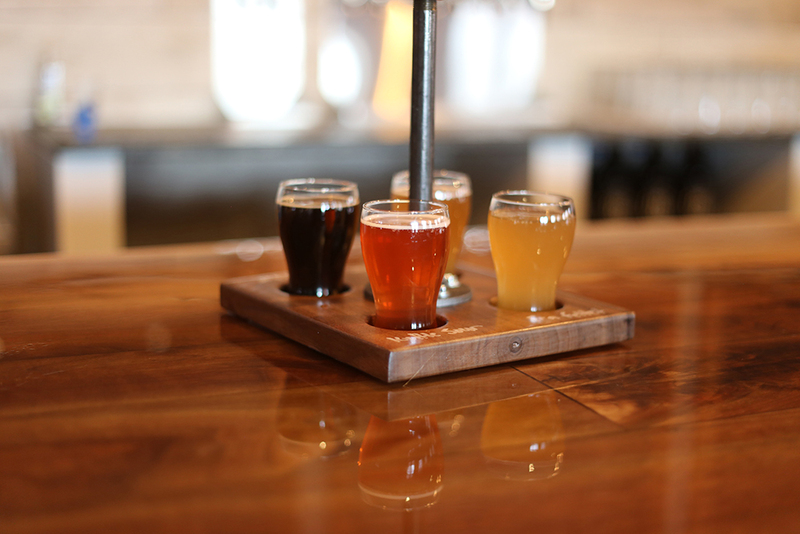 Beyond the typical tour of the brewing equipment, Half Pint will offer tours of the farm that highlight the botanical ingredients grown right on the property. 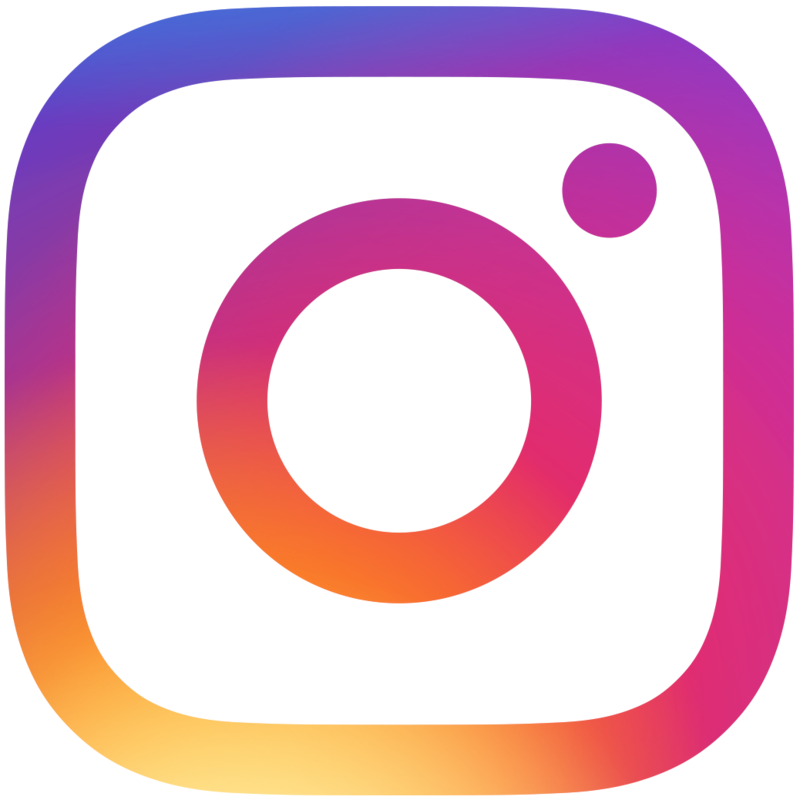 “We wanted to make it a different experience for people than what everybody else is doing,” Mike says. Running a hopyard and small farm adds another layer of complexity to their brewery business, but they wouldn’t have it any other way. “I feel like this is what he was born to do,” Amy says. 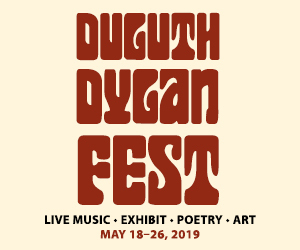 Beer: French Saison, Norway IPA, Burnt Prairie Black IPA, Porter, Fra Feltet Norwegian Farmhouse, Kolscheweisen, Kettle Sour with Raspberries, Hannah’s Honey Cream on nitro.